Here are some new project APT is working on. 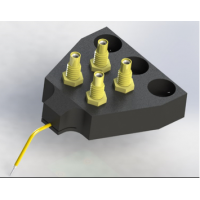 The Soon to be released, 740-EPC Series of coaxial probe holder that has an embedded PC card to allow active and passive components to be integrated within the probe design. This Series can be customized by allowing with customer to order unique PC boards for specific probing applications.